This week I have chosen the female back ! I have found some beautiful and unusual designs. When we move our arms in ballet it all comes from our back muscles, and this is how we get that graceful ports de bras. It's where we start our expression so we never underestimate the importance of a pretty back. Old leotard held together by a safety pin. Chosen a crop top with an unusual back design. Katerina wearing a beautiful design. Love how it folds in the middle. 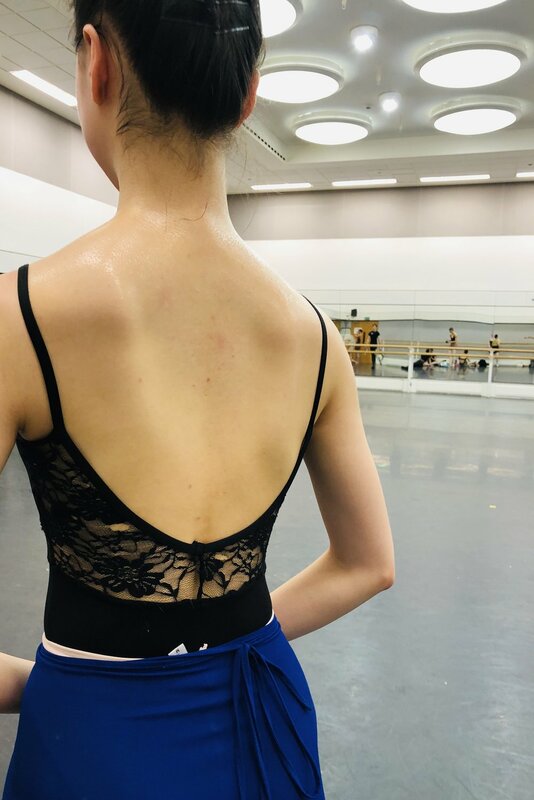 Yuhui wearing a lacy floral leotard held together by buttons. The first few are undone to give the back more breath. Yasmine showing the full back with this striking plunging leotard. Love how you can see hints of Grace’s tattoos with this design of leotard. A striking leotard. Plunging V with a dark blue piping for Ashley. 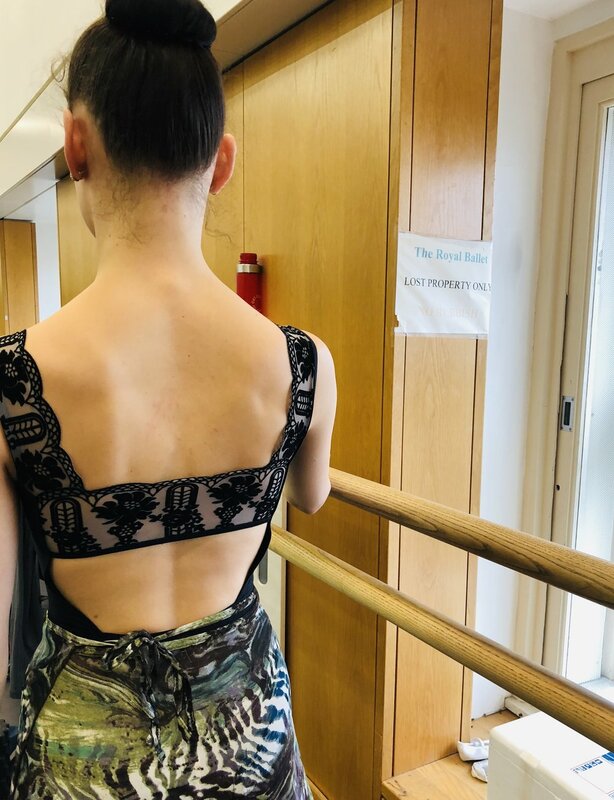 Isabel’s leotard has an Art Deco vibe. Very chic. Three bows to finish Fumi’s look. Super cute. Anna has a very demure v neck design. Lovely and subtle. Gorgeous wide and low back from Isabel. Cammy wearing a gorgeous strappy number. Lovely scooped back with lace detailing from Yu hang. Mica wearing an Adidas crop top underneath her Ivy Park leotard. Lovely intricate lace detailing here on this leotard. Amelia wears it well ! Ashley wearing a cute meshy number .